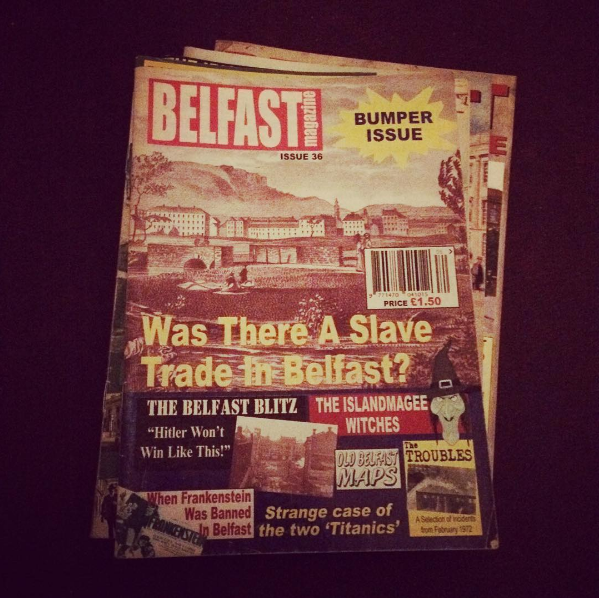 This has been a fairly slow reading month for me, but I did work my way through a stack of old magazines about the history of Belfast, as loaned to me by my partner’s father. I also read The Servant, a short story by the same author as The Horologicon, which I read last year. And I started We Were Liars by E Lockhart. Just yesterday I got a paperback copy of Career of Evil – the new Robert Galbraith book – which I’m mega excited about (maybe even too excited! ), but that’s pretty much it. Goodreads Update: 15 books into my 45 book goal for the year = 1 book ahead of schedule. Aw man! The article on that top issue looks very interesting! Will you be blogging about it or is it research for story work? Neither, actually. Like I was saying, just an old magazine my father-in-law had that he thought I’d find interesting.